When you want to up the ante on your digital marketing game for your law firm business website, you’re likely going to want to focus on search engine marketing. 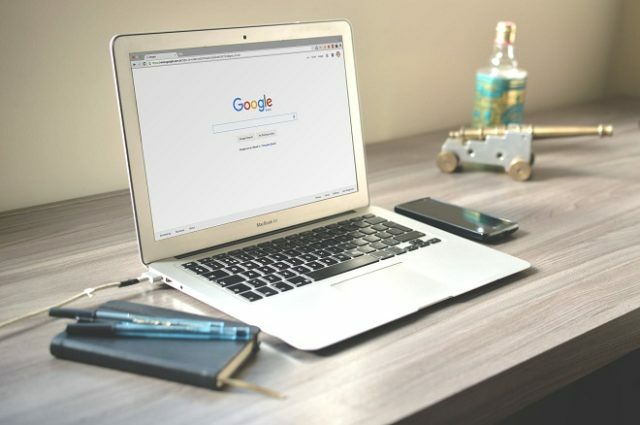 After all, search engines are where it’s at – Google, Bing, Yahoo, and Baidu are just some of the biggest names in search engines out there, and getting appeal from them can greatly boost your business potential to actually make it to the top of the big leagues, especially if you pair your search engine marketing with a properly-planned campaign. With this in mind, you’re likely wondering just how exactly to approach search engine marketing today, and if there are ways to make it more effective for the benefit of your law firm business. We’re here to help. It might help to get in touch with a few statistics first before getting into the basics of SEO, or search engine optimization. For instance, Google dominates the global search engine shares with 74.54 percent of people actually relying on this more than other competitors such as Baidu, Bing, and Yahoo. This is interesting, given that 46.8 percent of the world’s population actually have access to the internet, with a whopping 3.5-billion daily searches going into Google every day. Given the fact that users now also use mobile gadgets when conducting online research, you’re bound to have a huge market to tap into — and potentially give you good returns — when you do your search engine approach properly. If you’re looking for better ways to make your SEO game shine, you may want to look into better marketing methods and strategies. Working with the right mediation marketing firm can help you make improvements for better search engine results, but you might want to try out search marketing for your branding. A lot of brands have a budget reserved for marketing, and as such paid search auctions tend to be biased towards them. However, when you’re a brand that wants to be strategic, try to make sure you’re aware of what keywords you’re after. Focus on keywords that get you the best leads and conversions. Better yet, utilize long tail keywords so your strategy can have opportunities to be much cheaper and targeted. Remember that this will be less competitive, given that less traffic comes from long tail keywords. As such, having a good content strategy that balances all these can save you a lot of money by restricting negative keywords, match types, and others that may put you at a disadvantage. Another way to stay ahead of the competition is through localization. However, instead of just relying on the area, try to rely on the time zone as well. You don’t need to use all the keywords popular in your country if you really just want to be popular in your region. The same logic applies with day parting — why spend all that money when all your audiences are most likely online only during specific times? Run your ads at times when your leads are mostly online, so you can make the most out of your conversions. If you don’t have much money for your ad campaigns, then you’ve got to make sure the money you release is worth the expenditure through ad extensions. They can be a great way of providing more information about your advertisement, and sometimes these can make all the difference you need to make your campaign soar. Extensions such as site links, location information, click-to-call links, and reviews can be very helpful when it comes to motivating more people to follow your branding. The more information you offer, the more options people will have to see if what you’re offering is something that can be of interest to them. You have a lot of competition out there for Google’s attention, both within and outside your niche. As such, if your competition is really known members of the niche or industry you’re in, then you’ve got to find some way to stand out. You can do this by making a good and enticing promotion or positioning statement that could motivate readers and viewers to click your link. You can also try doing research on your competition to see just which areas of their business they’re weak in and make viewers feel as though you’re the best choice on the service they want. A lot of marketers will no doubt suggest you focus your attention on Google for your search engine needs, but remember that there are a ton of other search engines out there that aren’t as competitive and expensive as Google. For instance, Bing and Baidu are in fact good alternatives of Google that aren’t as expensive and can actually help you get paid search ads at a much lower cost. Second-tier search engines such as Admarketplace and LookSmart tend to have lower-quality search traffic and are inexpensive, but they can still provide quite a significant contribution when it comes to your search engine marketing ideas. If the above were any consideration, search engine marketing isn’t exactly a walk in the park. This doesn’t mean learning about it and applying it properly to your business is impossible, either. Perhaps the key element here is to first understand your objectives as to why you want to gain search engine traction and modifying parts of your marketing campaign to be tailored to meet such demands. You can then assess your resources, your timeframe, and your current trajectory through proper planning and evaluation to make sure search engine marketing can work the way it’s supposed to work for you and your law firm business.